This is a questioning sheet I’ve designed to use with one of my classes. To get learners thinking about the different types of questions they can ask. 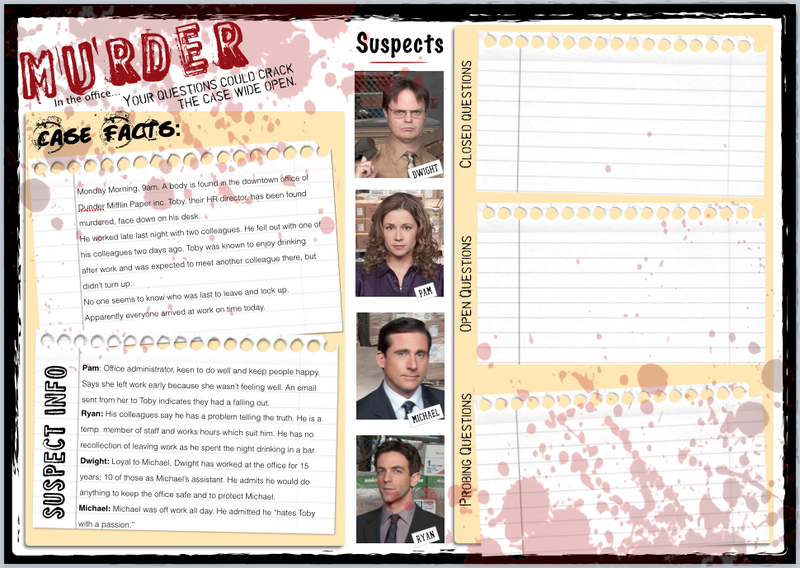 The murder scenario is the starting point for in-class discussion. The PDF AND PowerPoint files are available here for anyone to download and use.